Muddy says: Humorous decorative touches meet historic charm at this gastro pub with rooms and lodges and a wedding licence. 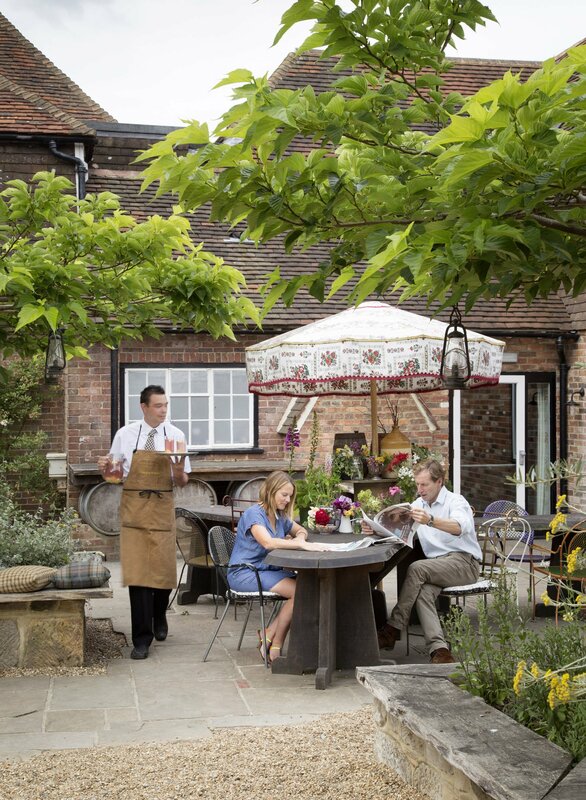 If it’s quirky country style you’re after, look no further than The Bell in Ticehurst. 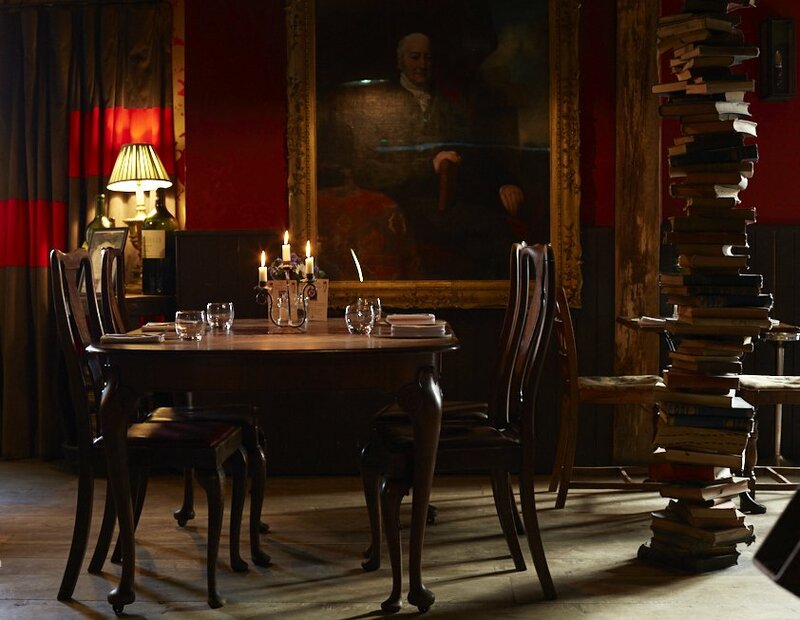 This 16th century pub – where Kipling is said to have written A Smuggler’s Song – is full of witty decorative touches. 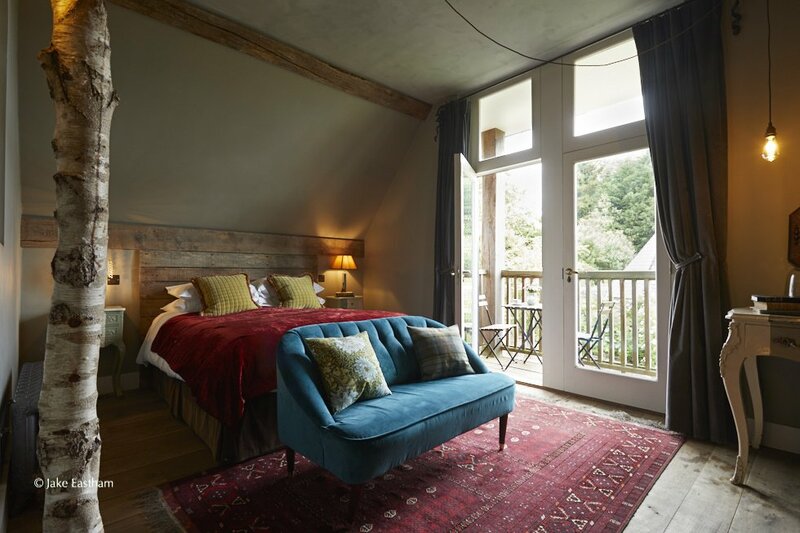 In rustic styled rooms you may find a tree branch ‘growing’ from the floor beside your bed, in the cosy beamed bar and restaurant, bowler hat lampshades and a stack of books that appears to support the ceiling. Gents can even take a leak into a French horn urinal. Seasonal local ingredients sourced from local farms are to the fore and bread is from the village’s Lighthouse Bakery. There are always enticing comfort food options like sticky toffee pudding on the menu. There’s a fish stall outside on Saturdays (with pavement paellas in warmer months) . 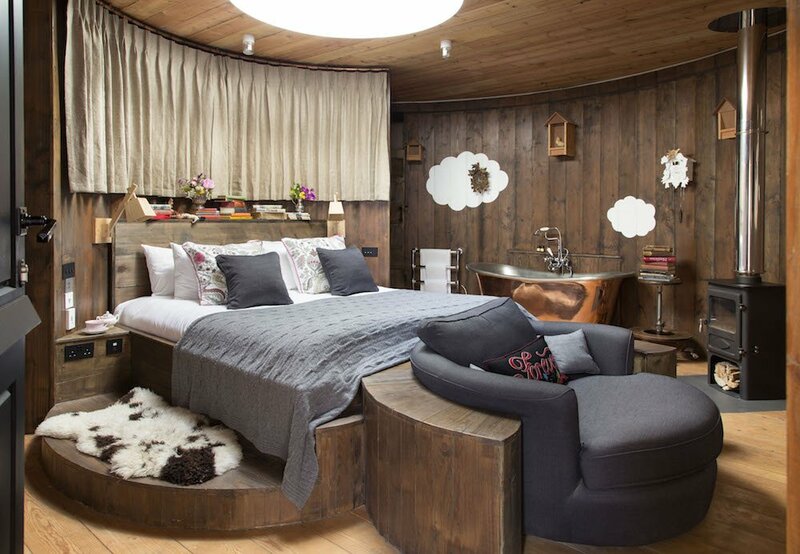 Seven quirky hotel rooms sit above the pub. In the garden, clustered round a fire pit, are four lodges including the special Love Nest – a circular suite with a copper bath. Fancy a pamper? In room facials and massages can be booked. You can tie the knot at The Bell – it’s licensed for ceremonies which up to 80 guest can attend, while up to 120 can be catered for for an evening reception. The Bell can also book local activities for a stag or hen weekend. The Big Room and the Stable with a Table (actually an old carriage room) are the atmospheric function rooms for hire. The latter also has it’s own cinema screen – a fun option for children’s parties. Look out for dates when there’s comedy from the likes of Stephen K Amos and Zoe Lyons at The Bell. There are also film nights, foodie fairs and more. 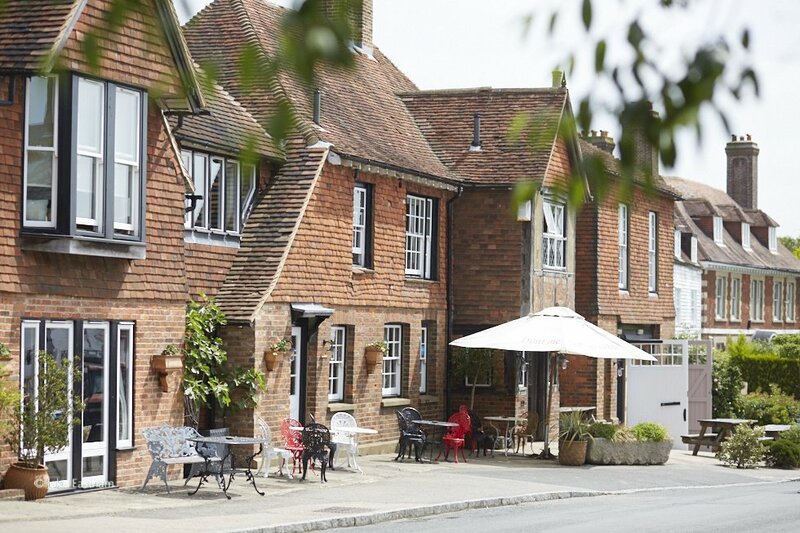 The village of Ticehurst is a pretty spot close to Kipling’s former home Bateman’s. Bewl Water and trendy Hastings are also within reach so The Bell is a fine place to work into your plans for a day trip or weekend.